We often say that many of our proudest moments are the result of a “team effort.” While it is true, we can’t overlook the efforts of all the extraordinary individuals who consistently face big challenges, turn a “no, can’t do” into a “yes, let’s try it” and blaze the trails for the rest of us. Their dedication, perseverance and strong leadership are instrumental to our success. Here at CableLabs, we are proud to employ many men and women who fit these criteria, but in this post, we’d like to focus on five people who have recently been recognized by the technology and cable industries for their outstanding performance. Recognition: Anju has been listed as a Silicon Valley Business Journal Woman of Influence 2018 award recipient for her outstanding results in leading a team that uncovers potential innovations that have broad applicability for the cable industry across international markets. The award will be presented to her in San Jose, California on May 31. Why she’s an exceptional leader: Since joining CableLabs in 2015, Anju has focused on the future and the technologies of tomorrow. Her team is charged with the not-so-simple task of identifying potential applications of emerging innovations, like AI, AR, VR and MR, across various fields to determine what will be required of the network of tomorrow. Her talent for recognizing the next big thing has been honed by years of experience investing in tech startups and working on their product and strategy. 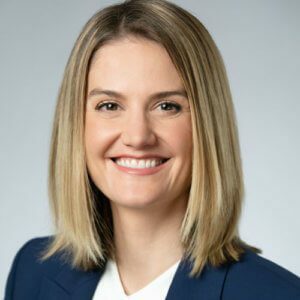 Under her leadership, the market development and product management team has achieved outstanding results and further solidified CableLabs’ role as the engine of innovation within the cable industry. Anju also serves on the board of directors of Cable & Telecommunications Association for Marketing (CTAM) and on the President’s Advisory Council of Northern California Women in Cable Telecommunications (WICT). Recognition: Dr. Andreoli-Fang recently received the Leading Lights Women in Comms Hedy Lamarr Award for Female Tech Pioneer of the Year 2018 for her work in developing state-of-the-art broadband technologies and defining the networks of tomorrow. She was chosen out of five finalists in the communications field. Why she’s an exceptional leader: Since 2007, Dr. Andreoli-Fang has been tirelessly working on making the mobile experience as seamless as it can be. She and her team have made incredible strides in improving cable data networks, increasing upstream speeds and making sure CableLabs’ technology is ready for the high-speed networks of the future. 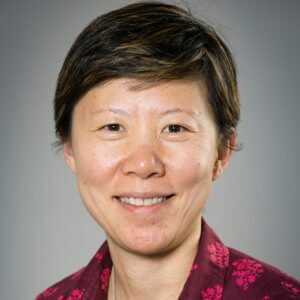 Dr. Andreoli-Fang has spent over 15 years developing state-of-the-art broadband technologies, including major contributions to the Data Over Cable Service Interface Specification (DOCSIS) 3.1 and Full Duplex DOCSIS projects at CableLabs. The results of her work impact millions of people around the world who rely on high-speed Internet every single day. Dr. Andreoli-Fang has a Ph.D. in electrical and computer engineering from University of California, San Diego. She has served as a vice chair of the Wi-Fi Alliance (WFA) Coexistence Task Group since 2016 and holds 49 patents with several pending. Recognition: Rachel was recently promoted to Senior Vice President and Chief Marketing Officer. Why she’s an exceptional leader: Rachel joined CableLabs in 2017 as VP of Marketing and Communications and in just one year has proven herself as an invaluable member of the senior management team. Rachel is responsible for overseeing all of CableLabs’ marketing, communications and events strategy, however, her packed schedule doesn’t keep her from continuing her efforts to grow Colorado’s tech community. She has organized multiple community groups, including Boulder Startup Week, and cause-based nonprofits. She is also the founder of three companies. Rachel’s long list of accomplishments includes being a Denver Business Journal’s CMO of the Year finalist, BizMagazine’s Top 25 Most Influential Young Professionals in 2014, Boulder Valley’s 40 Under Forty honoree in 2016 and Colorado Technology Association Women in Technology Luminary in 2016. 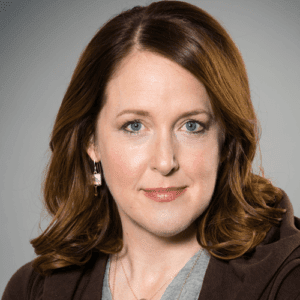 Recognition: Arianne has been named among The Fierce 50: The executives reshaping the business of pay TV for standing on the forefront of geometric-based display research and her vision for holographic displays: 3D without glasses. The award was published by FierceCable on April 18, 2018. Why she’s an exceptional leader: Arianne joined CableLabs in 2012 and is a software engineer and computer scientist where she is responsible for the overarching standards strategy on behalf of CableLabs and its members. She is also a video expert and serves as the primary video subject matter expert in CableLabs. Arianne holds the position of INCITS L3.1 Chairman, for which she is the head of the U.S. delegation of experts for participation in the ISO/IEC Moving Picture Experts Group (MPEG). 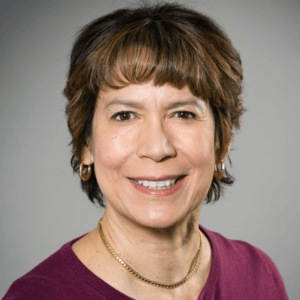 At the international level, she is the chair for an MPEG project team that is actively developing new specifications to support virtual reality services; she serves as the primary voice for the cable industry in MPEG and other video-related standards bodies. Recognition: Lisa was recently named as one of the Women in Cable Telecommunications (WICT) Women to Watch 2018 at the Walk of Fame Awards. Why she’s an exceptional leader: Lisa’s been managing our UpRamp Fiterator program since 2016. Her passion for startups makes her a perfect fit for this role which connects radical entrepreneurs at various stages of development to our CableLabs member companies. Specifically, Lisa searches for startups that are working on breakthrough innovations in emerging technologies like AI, blockchain, VR and AR. 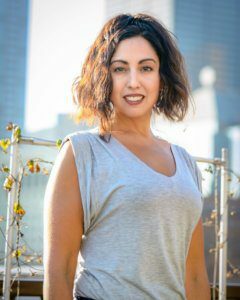 She is recognized for her expertise in digital marketing, community development and her passion for the startup world and helping them achieve success. On behalf of everyone at CableLabs, we’d like to thank these five exceptional leaders for their great work and wish them continued success in the future! Subscribe to our blog to learn more about our CableLabs team in the future.